Lorraine Gordon, Guardian Of Legendary Jazz Club, Dies At 95 The owner of the revered Village Vanguard in New York City — and a champion of generations of jazz musicians, including Thelonious Monk — died Saturday at age 95. Lorraine Gordon, backstage at her club, the Village Vanguard in New York City. Gordon died on Sunday at age 95. The cause of death was complications from a stroke she suffered on Memorial Day, said Jed Eisenman, the longtime manager of the jazz nightclub. Lorraine Gordon was never hard to find at the Village Vanguard. On most evenings, Gordon shuttled between two points: a table to the left of the stage, and the club's so-called kitchen. That's where she'd hang out with musicians, do the club's books, and take reservations — by hand, on a legal pad behind an ancient desk. Once called "the Camelot of jazz rooms," the Village Vanguard hosted Miles Davis, John Coltrane and Bill Evans, to name just a few of the legendary talents who've graced its tiny stage. In 1935, Lorraine Gordon's late husband Max opened the club on the site of a former speakeasy; she inherited her role as its honored caretaker when he passed away 54 years later. She became almost as much a fixture as the club itself. "She's a real New York character," the late Bruce Lundvall, the former president and CEO of Blue Note Records, told NPR in 2012. "She's tough, but she's charming and she's wonderful and she's smart as a whip. And she runs the greatest jazz club in the world, period." Lorraine Gordon's affinity for jazz arguably ran as deep — if not deeper — than her late husband's, as she said in a 2010 NPR interview. "I loved jazz from the day I was practically a toddler," she said. "I don't know why. I don't question it. I'm glad I do." As a teenager growing up in New Jersey, Gordon was a member of the Newark Hot Club and an enthusiastic collector of jazz records. Some of the best ones, she thought, were on the Blue Note label. That was a happy coincidence because Gordon's first love, after jazz, was Alfred Lion, Blue Note's co-founder. They married in 1943. As a war bride and for the seven years their union lasted, she helped with the label's operations, doing the books, promoting artists and helping to select the takes used in the finished albums. Sometimes she took a special interest in a musician, like pianist Thelonious Monk. According to Lorraine Gordon, "Nobody understood Monk but me." And she convinced Max Gordon, who was then just a business acquaintance, to book the pianist at the Vanguard. "He came here and played," Lorraine Gordon recalled, "and there was nobody here to listen except Monk and the group on the stage and me and couple of my friends." Luckily, Max didn't hold it against her — much. 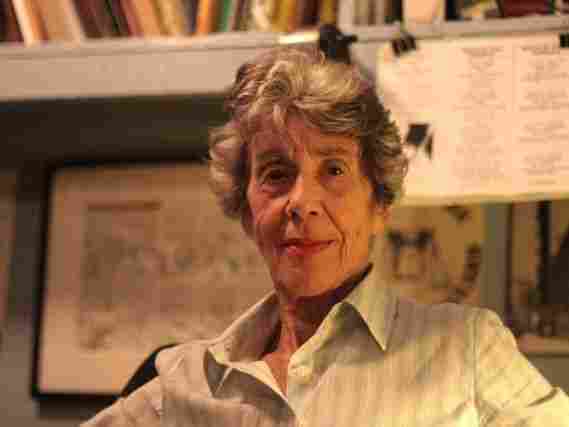 After she left Alfred Lion and married Max, Lorraine Gordon traded work for motherhood, although she was also a committed political activist: for Women Strike for Peace, to protest nuclear testing, and against the Vietnam War. In 1965, she made a daring visit to North Vietnam — an illegal activity during the war. Lorraine Gordon was anything but an unwitting spouse impressed into service. She reopened the Village Vanguard the night after Max died, continuing his legacy and letting her ears be her guide. As the opinionated Gordon said (semi-jokingly) to the New York Times in 2000, "When I have to make a decision," she said, "I ask, 'What would Max do?' Then I do the opposite." "It has to do with your perception of what you like, how you see the music. You jump in and try to support it and people will agree with you or not," she told NPR. "I don't care if they don't agree, it's what I like. Eventually they agree though. I don't have a lot of bad marks against me — one or two, maybe." In 2006, Lorraine Gordon published a memoir titled Alive at the Village Vanguard, co-written with Barry Singer. And in 2013, she was recognized as a "Jazz Master" by the National Endowment for the Arts, the only time the honor has been given to a club owner. A previous version of this article incorrectly referred to the National Endowment for the Arts as the National Endowment for the Humanities.